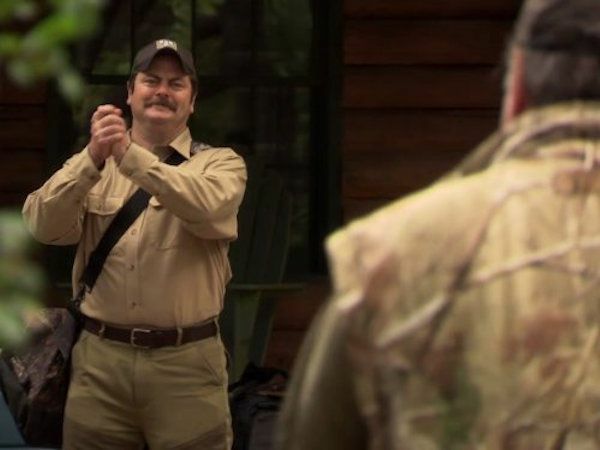 No matter the order, all Parks and Recreation fans can agree on the best episodes of all time, from “Flu Season” to “The Fight” to “Harvest Festival” and any episode with a wedding, Galentine’s Day, Treat Yo’ Self or Li’l Sebastian. But what about the best underrated episodes? It could be argued that every episode of Parks and Rec is underrated (because they totally are), and Collider’s own Vinnie Mancuso previously ranked the Top 50, but to celebrate the show’s 10-year anniversary, some of the stars looked back on all 125 episodes to pick out their favorites and it turned out to be more difficult than they thought. Speaking with Collider on the (blue) red carpet before the 2019 PaleyFest Parks and Rec 10th anniversary reunion panel, Nick Offerman, the man, the myth, the legend behind Ron Swanson, had to think for a bit before sharing his answer. And Jim O’Heir, aka Garry Jerry Larry Gergich Gengurch himself, also had a hard time picking his favorite underrated Parks and Rec episode.